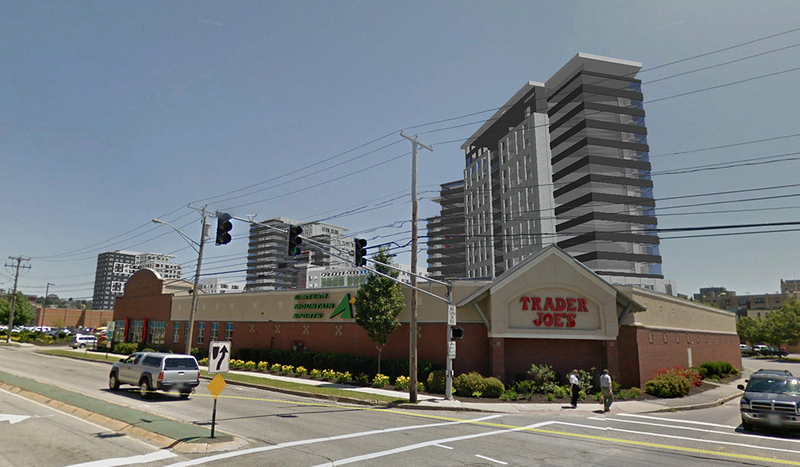 Composite photo illustrations using architectural models from the City of Portland show how the proposed buildings of the 'midtown' development would look from various locations in the Bayside neighborhood. 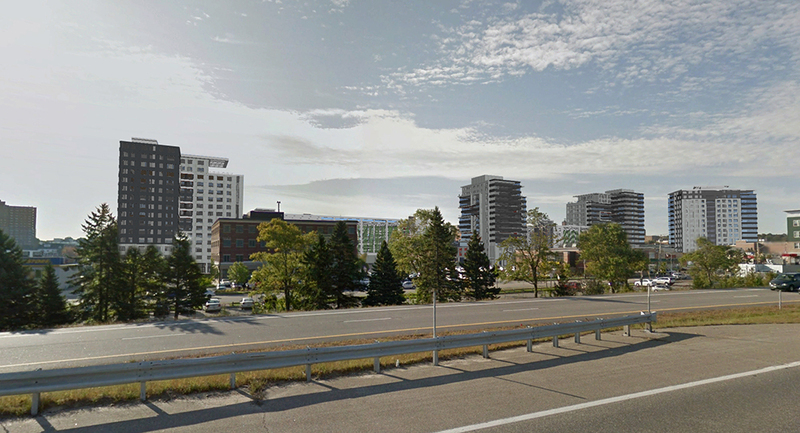 A composite image of Google Street View imagery and digitized architectural models shows the Bayside neighborhood and the proposed new ‘midtown’ buildings, looking south from I-295. 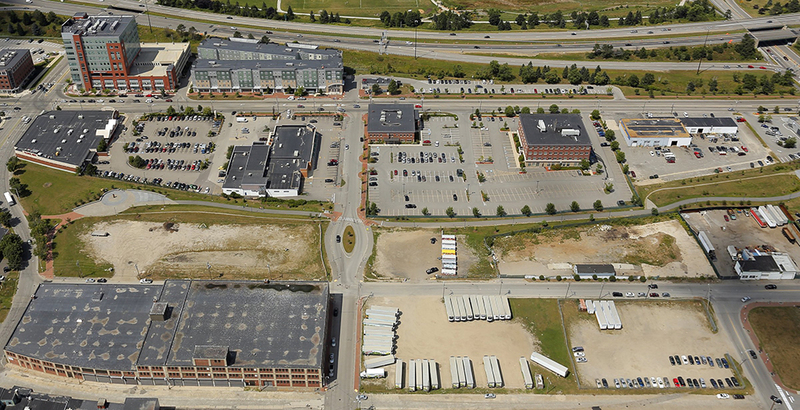 Imagery from Google and from the City of Portland. 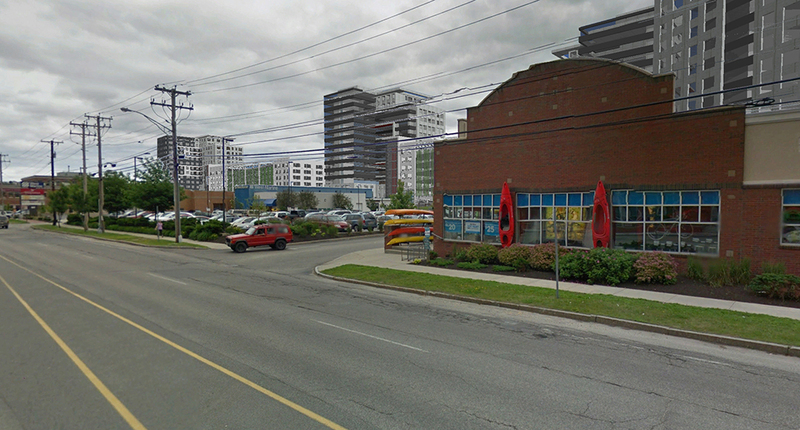 The proposed new ‘midtown’ buildings as seen from a perspective looking east from Marginal Way. 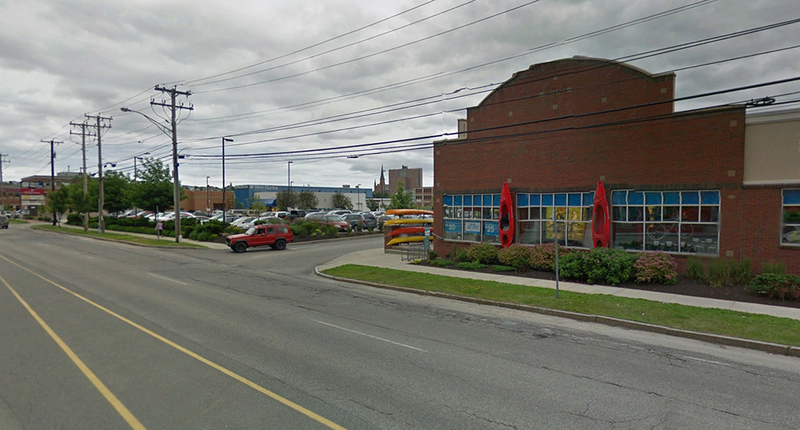 Imagery from Google and from the City of Portland. 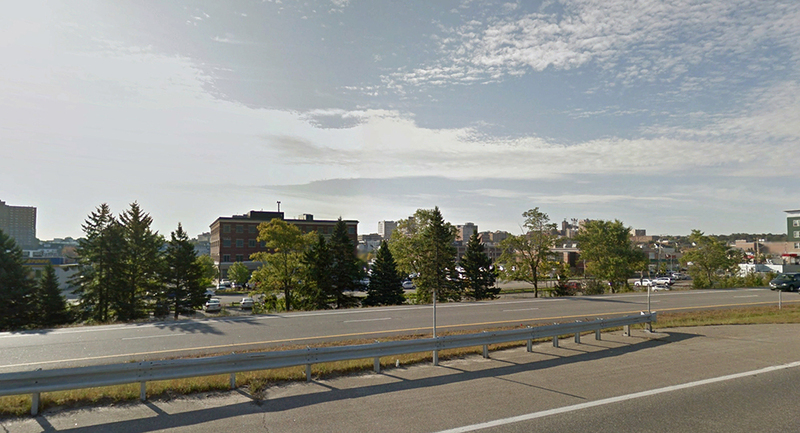 The proposed new ‘midtown’ development, looking east from the intersection of Marginal Way and Preble Street. 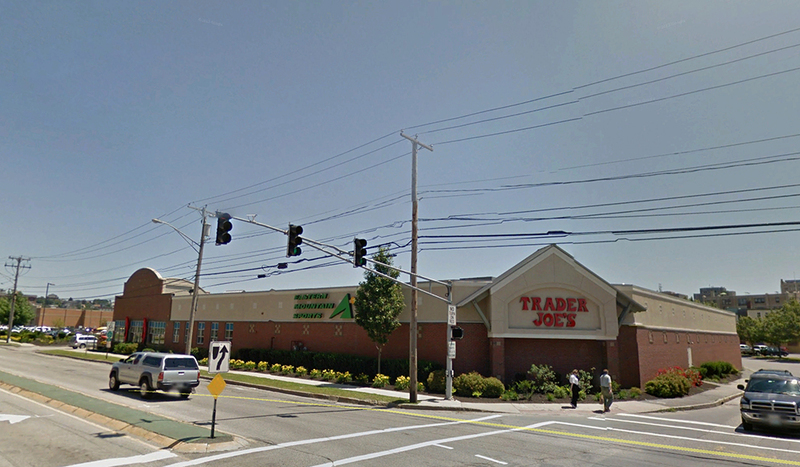 Imagery from Google and from the City of Portland. 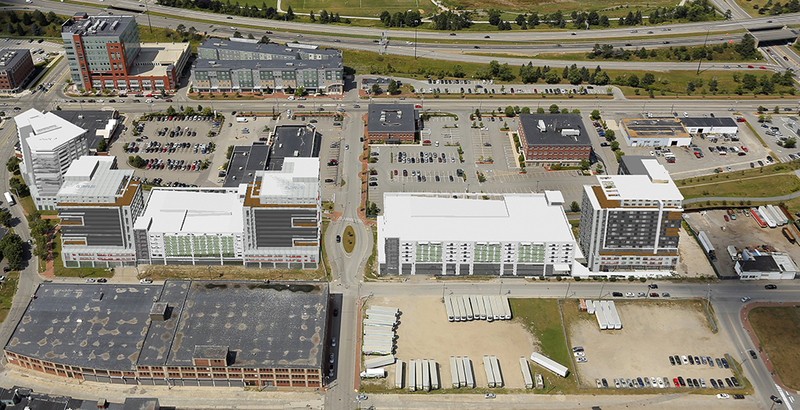 A composite image of a Portland Press Herald aerial photo and the architectural models shows the Bayside neighborhood and the proposed new ‘midtown’ buildings, looking towards Back Cove. Original photo by Gabe Souza/Staff Photographer; architectural model courtesy of the City of Portland. Photo illustrations by T.E.D. Andrick and Christian MilNeil.